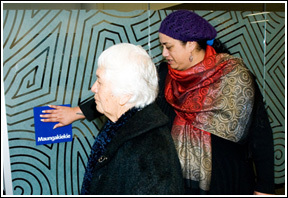 Ngai Tai were proud to be leading the blessing and opening for the world class Business Centre recently opened in Highbrook Business Park with Ted Ngataki and whanau from Ngaati Tamaoho. The centre overlooks the Tamaki River. 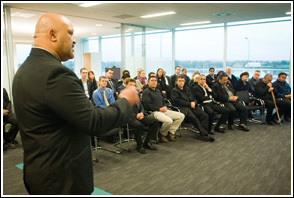 These are high-tech cutting edge meeting rooms to accommodate the myriad of businesses, community groups and clients the BNZ deals with.